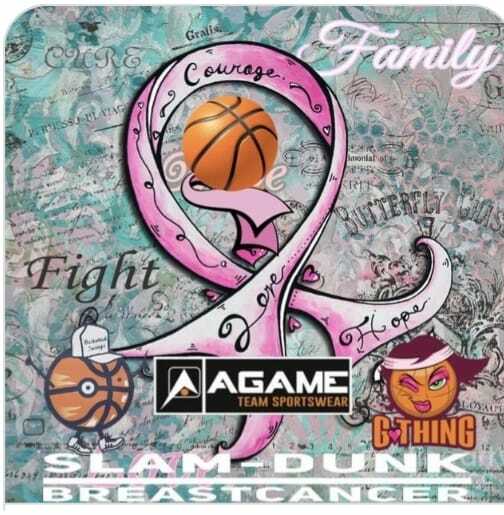 BASKETBALL SPOTLIGHT NEWS: Basketball Spotlight And AGame Team Sportswear Present: Slam Dunk Breast Cancer! 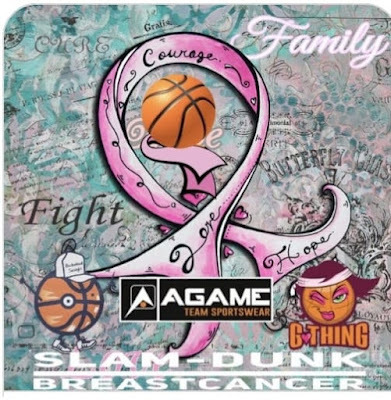 Basketball Spotlight And AGame Team Sportswear Present: Slam Dunk Breast Cancer! Basketball Spotlight and AGame Team Sportswear have come together to bring you the Inaugural Slam Dunk Breast Cancer Games. This event will bring together the top 6th, 7th and 8th Graders in the region for a day of basketball. A portion of the proceeds will be donated to a breast cancer nonprofit agency and we also will be hosting a special ceremony honoring a few breast cancer survivors. The details are below.